CHAI hosts weekly research meetings for graduate students at UC Berkeley. Below are samples of some of their work. You can earn more about Dylan’s other professional work at his website and follow him on Twitter here. 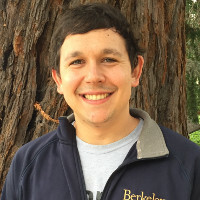 Jaime is a fourth-year Ph.D. student in EECS at UC Berkeley. He has worked on autonomous robots in both academia and industry, with a particular focus on collision avoidance and multi-agent systems. Broadly, his research focuses on safely introducing robotics into society. Jaime also thinks deeply about long-term implications of AI development and conducts his current research with an eye toward the future. Under the guidance of CHAI Professors Anca Dragan and Tom Griffiths, and along with fellow CHAI graduate students Monica Gates and Dylan Hadfield-Menell, Jaime has focused on solving the cooperative inverse reinforcement learning (CIRL) dynamic game using well-established models of human inference, decision making, and theory of mind from the cognitive science literature. Previous solutions have relied on modelling both the human and robot as perfectly rational and able to coordinate in advance, which are nontrivial assumptions in the real world. Instead, Jaime and his colleagues’ work models the human as pedagogic (i.e., her behaviour will aim to be instructive) and the robot as pragmatic (i.e., it knows the human is not perfectly rational but is still trying to teach it). Results suggest this formulation produces robots that are more competent collaborators (paper). 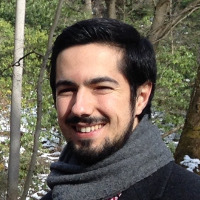 In the past, Jaime has also researched how we can have robots choose their course of action in a way that will be easy for a human observer to anticipate (paper) and how incorporating uncertainty into a safety framework for robotic systems that works in conjunction with their learning process can provide meaningful safety guarantees (paper and video). In the future, Jaime intends to look into how AI systems can utilize models of human cognition and behavior to ensure safe interaction with people. He believes that the safer robots will be those that engage their users and procure their cooperation, rather than try to protect against their indifference. He hopes that designing safe human-centered robotic systems in the short term will give us key insights to tackle the broader, long-term AI safety problem. Mechanism design and other ways quantitative characterizations of a phenomenon can be used to predict and shape behavior. Recently, Monica has worked on two projects related to CHAI’s mission. 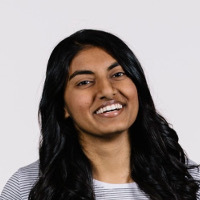 She has assisted with the paper on solving the cooperative inverse reinforcement learning (CIRL) dynamic game described in more detail in Jaime Fernandez Fisac’s profile and is working with Professors Anca D. Dragan, Tom L. Griffiths, and Anant Sahai on preference aggregation across agents. More specifically, in the latter project Monica and her colleagues have set up a study in which participants are presented with a problem that requires mediating between the preferences of multiple agents. Monica and her colleagues take participants’ responses and attempt to explain them using a quantitative model. Their hope is to create a baseline standard of “fair” reactions to the problem—a standard to which the behavior of future AIs can be compared. Going forward, Monica would like research social inference problems. She wants to continue to approach social cognition from a computational perspective, using probabilistic models and large-scale web-based crowdsourcing to investigate the computational goals and algorithms driving the social mind. By understanding the complex inferences made by human minds, she hopes to contribute to the development of artificial intelligence that can collaborate and is compatible with human behavior. You can learn more about Monica at her website.